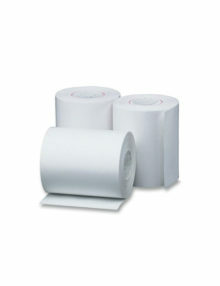 6 rolls of thermal ribbonless paper (width 3 1/8 inches, length 120 feet). 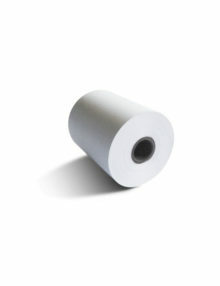 This paper roll can be used for the following equipment: First Data FD100, FD200, FD200Ti and FD300. 72 rolls of thermal ribbonless paper (width 2 1/4 inches, length 85 feet). 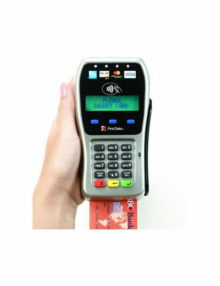 This paper roll can be used for the following equipment: VeriFone P350, P355, Omni 470, Omni 3200, Omni 3200SE, Omni 3740, Omni 3750, Vx 510, Vx 570, VX 520-DCSC3, NURIT 3010, NURIT 8400, First Data FD-50, FD-100Ti, FD-130, LinkPoint AIO, LP9100-GPRS, PrintPoint 3000, Axalto MagIC 6000, Ingenico Scribe 607, E710, i5100, i7780, Aqua, ExaDigm XD1000, XD2000, XD2100, Thales Talento, Hypercom T4205, T4210, T4220, T4230 and TechTrex PrimeTrex One.